Anyone that trades by listening to Jim Cramer is a big idiot. 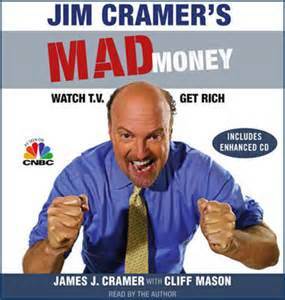 A decade ago, when I use to watch CNBC until I realize CNBC is just crap, I use to catch Jim Cramer talking about stocks and recommending which is a BUY or SELL. I never initiated any trades based on his recommendation because for some reason, I knew that his show was just entertainment and the content should not be used for trading. As equities markets top out and start sloping downward, it is wise to get out of stocks now because in 18 months things are going to look very different. You are currently browsing the archives for the Stock Trading category.